We’ll believe it when we see it, but two men, one a Pole and one a German, say they know the location of a heavily armored Nazi train that was rumored to be hidden away in a tunnel during the dying days of the Second World War—a train that could contain upwards of 300 tons of gold. The train is supposedly hidden away somewhere in Lower Silesia in southwest Poland. So basically we have a couple of guys who think they’ve found an armored Nazi train, and owing to 70-year-old rumors of a mythical Nazi train filled with gold, precious stones, and weapons, they’re hedging their bets by making the legal claim. Given that rumors like this were rampant in the closing days of the war, I’d be surprised if this train had anything of value inside. It’s pure speculation at this point, and we’re only going by the unsubstantiated claims made by this hopeful pair. It was the last days of the war. The Russian Red Army was closing in on the city of Wroclaw. German forces were in full retreat. During the Nazi occupation, a massive treasure of gold, gems, art and historical artefacts had been stripped from Polish museums, galleries and private collections. Then there were the gold reserves of the Wroclaw bank. Now this untold wealth was at risk of falling into Russian hands. So, a train — one of many clad with heavy armour and bristling with guns to withstand Allied air attacks — was sent to Wroclaw in May 1945 to remove the loot. Among the treasures was said to be 23 boxes of gold bullion. The 150m long assembly of armoured locomotive and carriages was spotted leaving along a south-western rail line. There are actually two gold train stories; one says the train is under a mountain, while the other claims it’s somewhere around Walbrzych. Yet, there’s absolutely no documented evidence to support this claim. 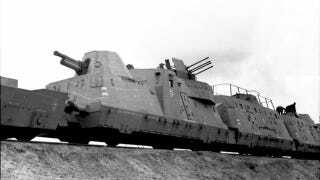 In the years following the war, historians have not found anything to prove that such a train ever existed. It’s important to point out, however, that so-called “gold trains” did exist, including the Hungarian Gold Train. What’s more, Germans did build a complex system of tunnels in the area as part of Project Riese. We’ll certainly be watching this unfolding story.